Citizens of St. Mary's County are invited to attend the quadrennial Oath of Office Ceremony for St. Mary's County elected officials on Monday, December 3, 2018 at 6 p.m. The event will take place inside the Leonardtown High School auditorium, 23995 Point Lookout Road in Leonardtown. The following elected officials will be sworn at the ceremony: Debbie Mills Burch, Clerk of the Circuit Court; Albert R. Babcock, Judge of the Orphans' Court; Bill Mattingly, Judge of the Orphans' Court, Michael R. White, Judge of the Orphans' Court; Phyllis R. Superior, Register of Wills; Karin M. Bailey, Board of Education; Rita Weaver, Board of Education; Timothy K. Cameron, Sheriff; Eric Colvin, County Commissioner, Michael L. Hewitt, County Commissioner; Todd B. Morgan, County Commissioner, John E. O'Connor, County Commissioner and James Randy Guy, President, Commissioners of St. Mary's County. Christine L. Kelly, Treasurer, and Richard D. Fritz, State's Attorney, will be recognized during the ceremony. They will take their Oaths of Office in January 2019. Members of the Leonardtown High School Orchestra will perform and the Great Mills High School Naval Jr. R.O.T.C. will present the Colors. Leonardtown Commissioner Hayden Hammett will perform the National Anthem and NAS Patuxent River Executive Officer CAPT Christopher Cox will lead the audience in a rendition of the Pledge of Allegiance. The Oath of Office Ceremony will air live on St. Mary's County Government TV 95 and streamed on the SMCG TV 95 webpage at stmarysmd.viebit.com/player_live.php?hash=177caff4-f883-4366-9b67-b47f2b974e96 however the event will not be streamed on social media. The program will be posted to the county's YouTube channel following the completion of editing. Citizens wishing to RSVP for the ceremony can email 2018Oath@stmarysmd.com no later than Monday, November 26. The November Planning and Zoning Commission meeting was cancelled because there were no cases to be heard. The next meeting is schedule for December 17, 2018 at 4:00 P.M. The St. Mary's County Planning Commission meeting, scheduled for Monday, November 26, was cancelled. The next scheduled Planning Commission meeting is Monday, December 10 at 6:30 p.m. in the commissioners meeting room inside the Chesapeake Building in Leonardtown. For more information, please contact Bill Hunt, Land Use and Growth Management Director, at 301-475-4200, ext. *1508. The Wicomico Shores Golf Course Advisory Board held a special meeting on Wednesday, November 28, at 6 p.m., at the Wicomico Shores Golf Course Clubhouse in Mechanicsville. The purpose of the meeting was to discuss the FY2020 draft operating and capital budget. The December 20 meeting of the Commission on People with Disabilities has been canceled. The commission's next regularly scheduled meeting will be Thursday, January 17, 2019 in Room 14 inside the Potomac Building. The Commissioners of St. Mary's County will hold a ribbon-cutting ceremony on Tuesday, December 11 at 1 p.m. to commemorate the opening of a section of FDR Boulevard. The installation of pavement markings, removal of traffic barriers and signage at the intersection of FDR Blvd and First Colony Blvd are underway. The road opening is anticipated prior to the event and a second news release will be issued. The 0.72 miles extension covers an area from First Colony Blvd to the roundabout at Old Rolling Road. At their November 27 business meeting, the commissioners approved a resolution and several ordinances. The ordinances establish a 35 MPH speed limit for the roadway; sets a stop sign and establishes an all way yield intersection at FDR Boulevard and Old Rolling Road. Other ordinances designate the shoulders of the road as bike lanes and lane usage at the intersection of First Colony Boulevard. The adopted resolution accepts road into the county's Highway Maintenance System. The southbound left travel lane on FDR Boulevard will become a "Left Turn Only" lane for motorists heading toward First Colony Boulevard (and the First Colony Shopping Center). The southbound right lane will be a through lane for vehicles heading to Old Rolling Road along the new extension of FDR Boulevard. "This is the first step in achieving a county-constructed road in over 25 years," said Commissioner Todd Morgan (4th District). "Its completion will help to reduce traffic congestion on MD 235 and continue to enhance economic development in the Lexington Park/California area. I look forward to the road's total completion from St. Andrews Church Road to Pegg Road in the next few years." Information and questions regarding the change in traffic pattern and roadway extension opening can be addressed to the Department of Public Works and Transportation at 301-475-4200 ext. *3525. As colder weather settles in, the St. Mary's County Department of Aging & Human Services seeks additional volunteer drivers for Wrapping Arms 'Round Many (or WARM). The program is a winter emergency shelter program for homeless individuals in St. Mary's County. Citizens who have wondered how they could make a difference regarding homeless individuals in the county now have an opportunity. The Department of Aging & Human Services coordinates transportation for the WARM program, including recruiting and scheduling of volunteer drivers. Drivers must be 18 or older and have a valid driver's license. Volunteers are given access to a county-owned van. Volunteer slots are available 7 days per week while WARM is operational. This year's WARM season began on November 4 and will end March 23, 2019. Volunteer drivers are divided into evening and morning shifts. Evening drivers pick up WARM guests at the Three Oaks Center at 5:30 p.m. for transportation to the selected church for the evening. Morning drivers arrive at the church by 7 a.m. the next morning to transport guests back to Three Oaks. The WARM program is a partnership between the faith community, local human service agencies and citizens to provide safe shelter and hot meals to homeless citizens during the coldest months of the year. The first WARM season took place in October 2009 and has become very successful. More than 50 churches currently work together to provide food and shelter. WARM operates in close partnership with St. Mary's County Government, including the Department of Aging & Human Services and Department of Public Works and Transportation. Partner agencies include the St. Mary's County Sheriff's Office, Department of Social Services, Walden, Three Oaks Center and MedStar St. Mary's Hospital. To volunteer, contact Ursula Harris at 301-475-4200, ext. 71658, or via email to Ursula.Harris@stmarysmd.com. Your assistance with helping others is greatly appreciated during the cold winter months. The St. Mary's County Commission for Women is in search of extraordinary and inspiring women in the community. Nominations for Woman of the Year and Tomorrow's Woman are now being accepted. The awards recognize women who have made significant contributions to the local region through their volunteer service. Nominees will be recognized at the Women's History Month Banquet on Thursday, March 14, 2019, at the Southern Maryland Higher Education Center. The Woman of the Year award recipient is someone who displays leadership, commitment and provides outstanding volunteer service to individuals or non-profit organizations in the community. Previous nominees have included volunteers from local churches, libraries, senior activity centers, hospitals, animal shelters, the NAACP and volunteer rescue squads. 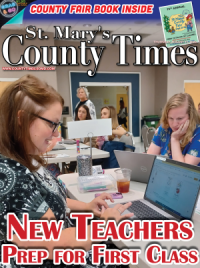 Tomorrow's Woman celebrates young women who already are making a difference in St. Mary's County. The award recipient is a current high school student, in grades 9—12, who has made an impact in the community through voluntary advocacy, leadership, or service. We encourage individuals, families, charities, educators, civic, community and religious organizations to recognize the work of the next generation by nominating a deserving candidate. To be eligible, nominations in both categories must recognize women who currently reside in St. Mary's County and who have made a positive impact on the local community through volunteer work. Completed nominations forms must be submitted by Friday, February 1, 2019. Nomination forms are available at www.stmarysmd.com/boards/ A nomination form can also be requested by emailing commissionforwomen@stmarysmd.com or by calling 301-475-4200, ext. *1680. The Commission requests nominating organizations or individuals purchase a reservation for their nominee. Nominating an exceptional woman is a great way to honor her hard work and effort in front of her family, friends, and community. Please share this invitation and help recognize the talented women here in St. Mary's County. 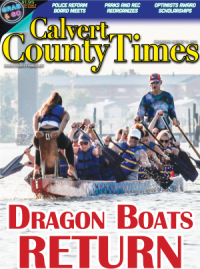 The St. Mary's County Commission for Women is a volunteer-run committee appointed by the Commissioners of St. Mary's County. Their mission is to celebrate and support the county's women through outreach, advocacy and service, to secure an equitable community for all. THE PURPOSE OF THE MEETING IS CONSIDERATION OF REQUESTS BY THE COMMISSIONERS OF St. Mary's County and PROPOSALS BY ORGANIZATIONS AND MEMBERS OF THE PUBLIC FOR ENACTMENT OF LEGISLATION DURING THE 2019 SESSION OF THE GENERAL ASSEMBLY OF MARYLAND. Citizens are encouraged to attend. Any reasonable accommodation for persons with disabilities should be requested by contacting the St. Mary's County Communications Director at 301-475-4200, ext. *1342. A full-cycle test of the alert and notification sirens throughout St. Mary's, Calvert and Dorchester counties will take place on Monday, December 3 at noon. The test includes a three-minute activation of all sirens within the 10-mile area around the Calvert Cliffs Nuclear Power Plant. Citizens are asked to remember the scheduled testing and relay the information to friends, family and neighbors. Testing is conducted to check siren operation and increase public awareness of the alert and notification siren system. If the sirens sound at any other time, residents should tune to one of the local radio stations for information and instructions.